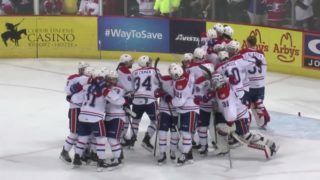 Portland, Ore. — Despite rallying twice from two-goal deficits, the Spokane Chiefs saw their two-game winning streak come to an end on Saturday night as the Portland Winterhawks defeated the Chiefs 6-5 in a shootout in Portland. 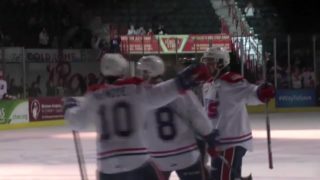 The win was Portland’s third in five games versus Spokane this season and pushed the Winterhawks 11 points ahead of the Chiefs for second place in the U.S. Division. 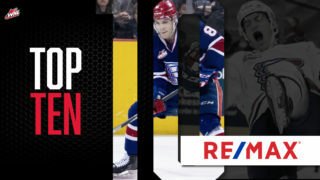 Nolan Reid’s 10th goal of the season – and second in as many nights – gave the Chiefs a 1-0 lead just over three minutes into the game. Portland would tie the game at one 1:14 later after a Spokane turnover in their defensive zone. The Chiefs went on a five-minute power play midway through the first after defenseman Ty Smith was knocked out of the game on a hit at center ice. Spokane failed to score on the man advantage and Portland took their first lead on an odd-man rush goal with just 45 seconds left in the period to go up 2-1 after 20 minutes. 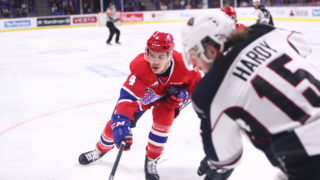 Portland scored only 20 seconds into the second to take a 3-1 lead, but Spokane battled back with consecutive goals from Egor Arbuzov and Reid 2:01 apart midway through the period to tie the game at three. The Winterhawks re-took the lead on a power play goal late in the stanza to take a 4-3 lead after two. Portland would extend the margin back to two on a goal just under six minutes into the third to go up 5-3. 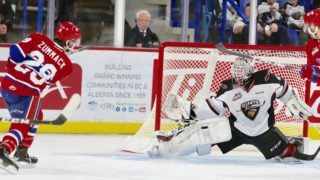 Spokane would draw within 5-4 on an Adam Beckman goal – his third in the last two games – midway through the third. The Chiefs would then pull even at five apiece on a Filip Kral power play goal at 11:28 to force overtime. 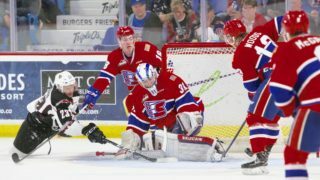 In the OT, Spokane outshot Portland 5-2 but were unable to beat Winterhawks goalie Joel Hofer as the two teams went to a shootout for the first time this season. Beckman finished with a goal and two assists in support of Reid’s first two-goal game of the season. The Chiefs outshot Portland 40-27 in the game, going 1-for-5 on the power play and 4-for-5 on the penalty kill.